PROFESSIONAL EXPERIENCE Ruppersberger, Clark & Mister – Law Clerk. December 15. 1985 to December 22, 1987. Performed legal research, drafting, pre-trial discovery and trial preparation. Fields of practice included family law, criminal law, personal injury, commercial litigation. Ruppersberger, Clark & Mister – Associate Attorney, December 22, 1987 to December 5. 1994. Employed as a full time associate attorney in a general trial practice with an emphasis on family law, criminal law, debtors rights, personal injury and commercial litigation. Mister, Winter & Bartlett, LLC – Partner/Member, December 5, 1994 to Present. Full-time private practice with an emphasis on family law. Representation of clients in contested divorce, custody, visitation, child support and C.l.N.A proceedings. 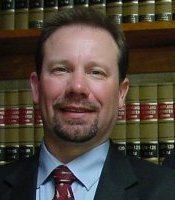 Other areas of practice include criminal law, alcoholic beverage license law, personal injury and commercial litigation. General Counsel to Bay City Construction Company. Inc.: Donald Excavating, Inc.; Greenwood Towing. Inc. Associate Counsel to Baltimore County Licensed Beverage Association. TEACHING EXPERIENCE Baltimore County Law Mentor Program – Mentor. Co-operative program between the Baltimore Countv Board of Education and Baltimore County Bar Association. Activities consisted of classroom lectures and courthouse field trips with Hereford High School 12th grade “gifted and talented” students. September, 1991 to December, 1995. Certified Employee Benefits Specialist (CEBS) – Course Instructor. Course III, Retirement Plans: Defined Contribution Approaches; Course V, Contemporary Legal Environment oj Employee Benefit Plans. Fifteen week course sponsored by University of Pennsylvania, Wharton School of Business. January, 1992 to May. 1995 Baltimore County Bar Association, Continuing Legal Education Program – Co-lecturer. Going to Court with your Pension Expert. February, 1992. - David Mister Info: Did you know?